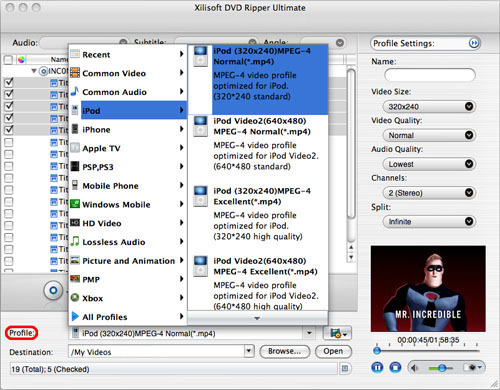 How to convert DVD to iPod on Mac with Xilisoft DVD to Video for Mac? The trial version of Mac DVD to Video is fully functional for 30 days of its trial period. Select one or more files in the list, click "Profile" drop-down button, select "iPod" output format for selected files in the drop down list that opens.